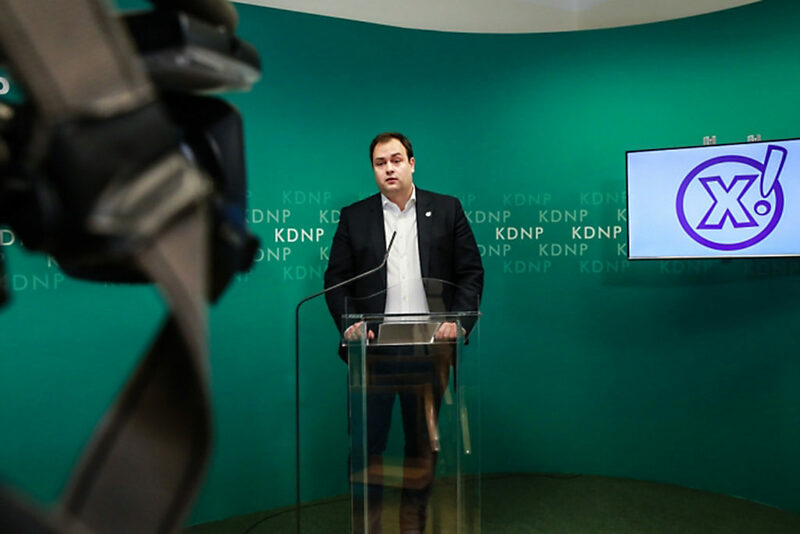 The youth wing of the Christian Democratic People’s Party (KDNP) has reported numerous civil organizations to the Budapest Prosecutor’s Office for refusing to register as foreign-funded NGOs, reports ultra-conservative pro-government weekly Magyar Demokrata. According to the leader of the Youth Christian Democratic Alliance (IKSZ) Lőrinc Nacsa, if the organizations fall under the jurisdiction of the NGO law – which requires all civil organizations that receive more than HUF 7.2 million annually from foreign sources to register themselves as foreign-funded organizations – then action must be taken against those that have defied the requirements. Nacsa said that refusal to comply raises the suspicion that these organizations have something to hide. So far, only 58 NGOs have registered themselves on the “civil informational portal” while 23 have submitted motions to the Constitutional Court over the matter. Over 200 civil organizations have declared they would defy the NGO law, and the European Commission has moved forward with an infringement proceeding against Hungary over the law. According to 444.hu, IKSZ turning to authorities essentially ensures that the involved NGOs will be investigated before the national election next spring. Otherwise, authorities would only have expected action from the NGOs in June of next year, after their yearly requirement to disclose their financial information from the previous year.